Today is the unofficial release of the independent film To Write Love On Her Arms and after brainstorming and pondering over what to write about last night I decided that today would be the perfect time to spread a little light about this organization and well, supporting non-profits in general. The blogging world so often can look so pretty and perfect seemingly unaffected by the hardships we face in the everyday world. No one wants to talk about the dirty little details on their blogs and the few times they do it's either about a headlining issue or for the sake of their stats. Not today. 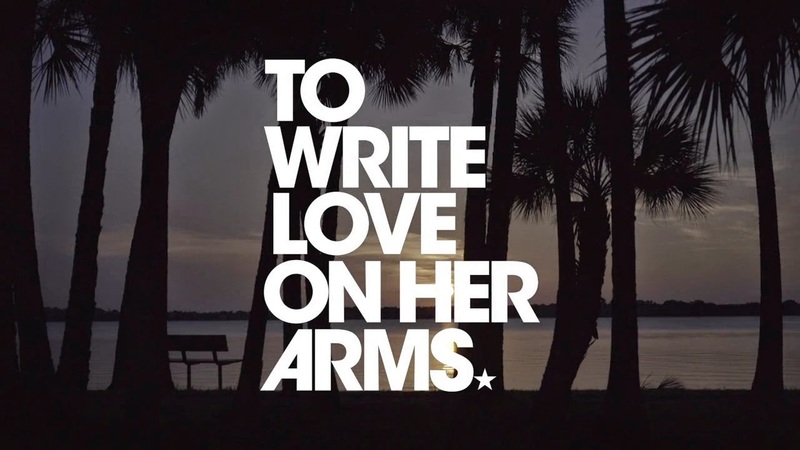 Many of you are probably unfamiliar with To Write Love On Her Arms because such an issue or institution hasn't crossed your mind in the past 10 years that TWLOHA has been around. Drug abuse, self-harm, and teenage addiction is one of those things that we don't like to think about, let alone talk about and it's those issues that TWLOHA deals with. But let's be clear here: I'M NOT WRITING THIS BLOG POST TO TELL YOU ABOUT SELF-HARM AND TEEN ADDICTION AND DRUG ABUSE. I'M HERE TO TELL YOU THAT SUPPORTING A CAUSE YOU CARE ABOUT IS PROBABLY ONE OF THE BEST (and easiest!) THINGS YOU CAN DO IF YOU LOVE TO SHOP AND LOVE #HAPPYMAILDAYS. It's not always about donating dollars and volunteering time, people! If you'd love a t-shirt or a beanie or a mug (or even a poster-sized print like the one pictured above from To Write Love On Her Arms that's available online for only $14 and will be hanging in my room veerrry soon I hope! ;)) buying it not only supports the cause, but it also means new cute stuff to hang in your closet or on your wall. Duh. 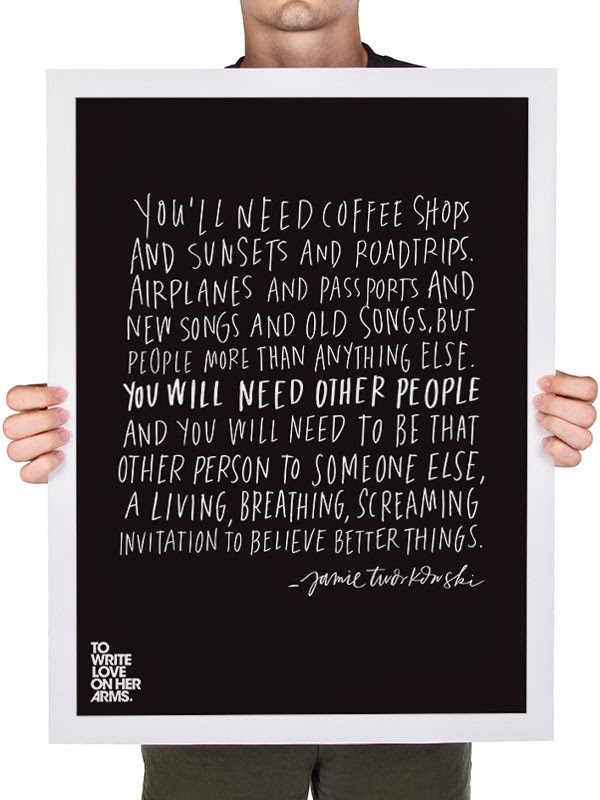 Though there are sooo many non-profits I'd love to support, TWLOHA happens to be the organization that I've been most moved by lately even though they've been on my radar for years. Now's the time for me to not just admire their work, but get involved by doing what I do best: shopping. So what organization are you going to shop 'til you drop to support? It's just as easy as One-Two-"Add to Cart".